Please join us for our next social and networking event on Wednesday, March 25th from 6-9pm at the William Street Common. 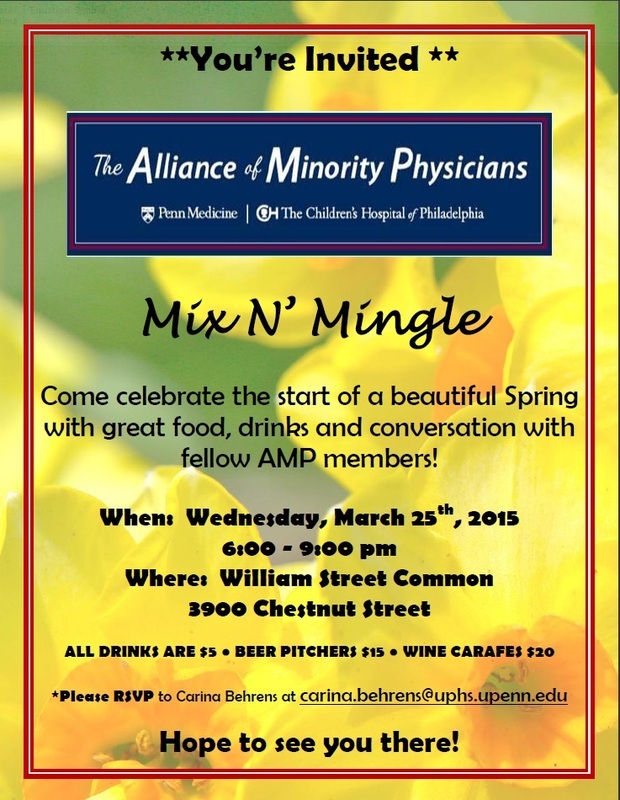 We will be welcoming Spring, enjoying wonderful conversations AND congratulating the newly matched medical students! Please see attached invitation for more details. For those of you coming from center city and/or signing out late, please let us know when you plan to be there; we will keep an eye out for you! Please RSVP to Carina Behrens at carina.behrens@uphs.upenn.edu, so we can plan accordingly.